With StayLinked all interactions with the host application are executed locally on the host computer. Only small, very secure, interactions are exchanged over the wireless network with the mobile device ensuring that StayLinked delivers the most secure Terminal Emulation solution available. All Telnet or SSHv2 communications take place on the host machine and are never broadcast over the wireless network. StayLinked virtually eliminates dropped sessions between the mobile device and the host application, reinforcing StayLinked’s unmatched record of maintaining and managing telnet sessions which dramatically reduces end user product support costs. By virtually eliminating dropped sessions, support call volume is drastically reduced, driving a direct positive effect on the bottom line. What makes StayLinked better than 1st generation terminal emulation? By virtue of a unique architecture, StayLinked Terminal Emulation (TE) is the fastest TE solution available for mobile devices. Traditional terminal emulation products send all telnet/SSH traffic over the wireless network to the mobile device. With StayLinked all interactions with the host application are executed locally on the host computer. Only small, very secure, interactions are exchanged over the wireless network with the mobile device. StayLinked also uses a very efficient protocol in transporting any information between the server and the mobile device. This is especially important when contending with very slow or erratic wireless networks where legacy terminal emulation products are more likely to fail. StayLinked delivers the most secure Terminal Emulation solution available. All Telnet or SSHv2 communications take place on the host machine and are never broadcast over the wireless network. With Blowfish encryption, firewall-friendly design, application lock-down, and support for port filter and access list controls, StayLinked ensures the integrity of your data and communications. StayLinked virtually eliminates dropped sessions between the mobile device and the host application. 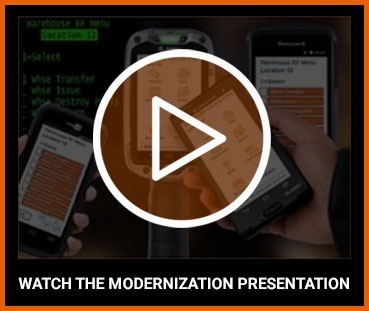 Whether the problem is poor wireless network coverage, mobile device battery issues, or mobile device reboots, the terminal emulation session will never be lost. Sessions can even be transferred to another device or even shared across multiple devices. In fact, StayLinked can even maintain your session over cellular networks when coverage is temporarily lost. StayLinked delivers full management of all aspects of telnet sessions on the mobile device, configuration, and licensing. StayLinked eliminates the need to purchase additional software to manage software distribution, client configuration, barcode configurations, keyboard maps, scripting, screen reformatting, file transfers, session transfers, device reboots, diagnostics, and more. The StayLinked Administrator includes tools that will accelerate troubleshooting to keep end users on the job boosting productivity. Help desk personnel can quickly determine the source of the problem whether it be with the mobile device hardware, network coverage, host system, or software. Features include the ability to fully remote control or observe a live telnet session, run diagnostics on the mobile device, collect log files, send text messages to the device, re-start the client software, re-boot the mobile device, change device configurations, execute commands, run programs, manage licenses, collect usage data, and more. A session can even be shared across multiple devices for training purposes. StayLinked’s unmatched record of maintaining and managing telnet sessions dramatically reduces end user product support costs. By far the most common reason for support calls related to wireless barcode scanning devices is dropped telnet sessions. By virtually eliminating dropped sessions support call volume is drastically reduced, driving a direct positive effect on the bottom line. StayLinked licensing is designed to deliver great value to our customers. The licensing is based upon concurrent telnet session rather than by total device count and StayLinked licenses are fully transferable to new devices with a current maintenance and support agreement.